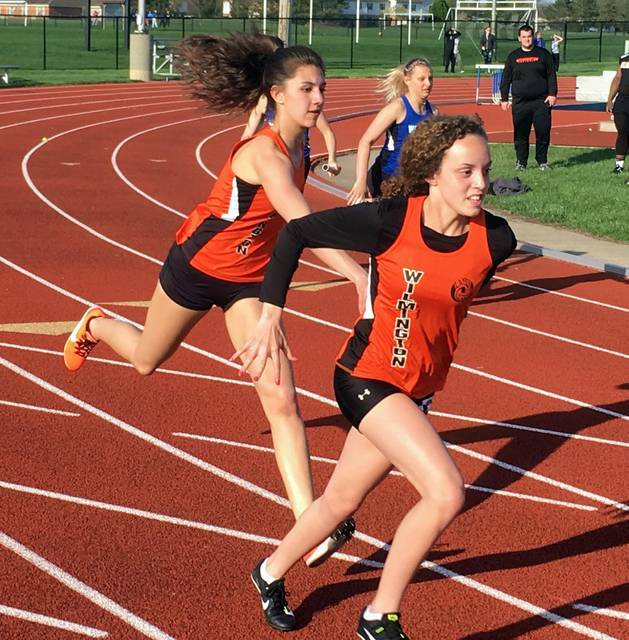 WASHINGTON COURT HOUSE – A pair of old South Central Ohio League rivals hooked up Tuesday night at the Washington Senior High School track and field complex. Wilmington defeated Washington in both boys and girls meets – the girls coming out on top 74-70 and the boys posting a 94-54 win. 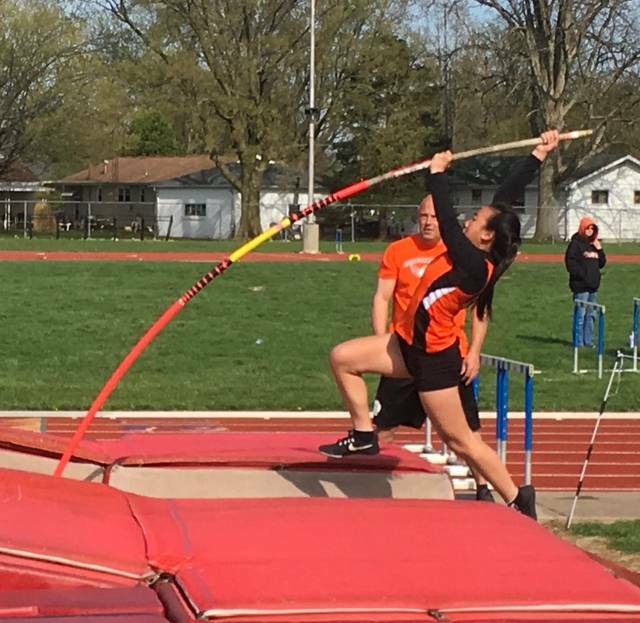 The Lady Hurricane put on a show of depth in this one with six girls winning individual events. WHS won the two sprint relays. On the boys side, Malik Scott was a three-event winner – the 100-, 200- and 400-meter dashes.